Prestige Inhome Care was established in Sandringham, Melbourne, and is a private company whose management team collectively tallies over 75 years’ experience in business management and the home healthcare industry. Prestige Inhome Care is managed by founder and Registered Nurse, Nick McDonald, who has over 15 years experience in home based nursing and care, and is passionate about enabling people to remain at home as long as they choose to do so. Prestige Inhome Care was also recognised in the BRW’s Fastest 100 list for Australia’s fastest growing companies, which is a remarkable achievement. 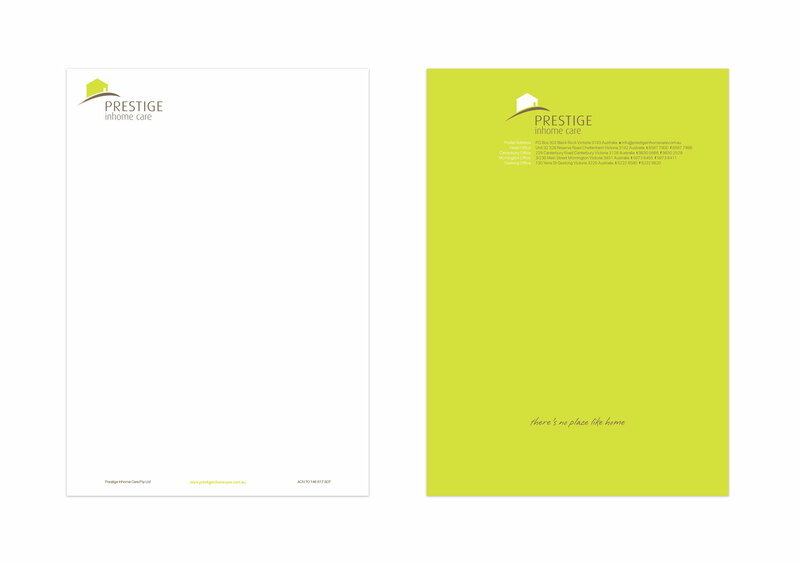 Rising Creative re-designed Prestige Inhome Care’s letterhead stationary, across print and digital, to enhance the communication of Prestige’s numerous new office locations.